Steve McKinnon has just come through a difficult twelve months, but he’s feeling good. This year, Steve has had two fights on Glory World Series, the European promotion that has stepped in to fill the vacuum for world-class kickboxing since the demise of the Japanese K1. After rematching Nathan Corbett on his own promotion, Total Carnage II, Steve suffered another two decision defeats on Glory. Like any true champion, however, he remains undeterred. His ultimate goal? Steve’s two fights for Glory both resulted in controversial decisions. The first fight as part of Glory 7 in Milan, Italy, saw Steve pitted against 22 year-old Dutchman, Michael Dutt. The loss aside, McKinnon’s response to fighting in Italy was very positive. 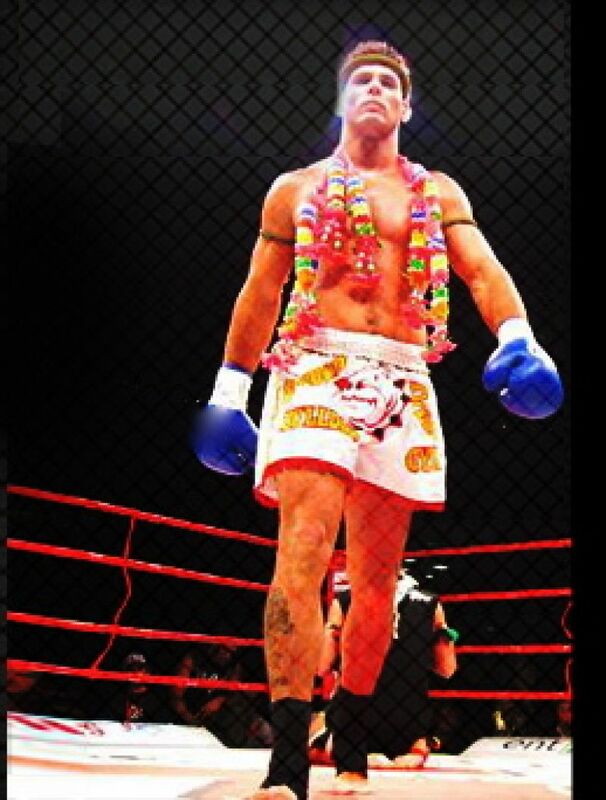 Steve’s follow-up performance on Glory 9 in New York saw him included in the draw for an eight-man tournament which again saw Michael Dutt included, along with Tyrone Spong. Steve completed the first leg of the tournament “feeling really good”. Unfortunately, the decision went against him. The American crowd responded in similar fashion to the Italians. Like a true champion, Steve doesn’t complain about the judging. He has returned to the drawing board with his brother and trainer, Stuart, to see what can be done to improve. The Glory organization are now the rising power in world kickboxing and their reputation for high-quality promotions is matched by their level of professionalism at an organizational level. Prior to Glory, Steve rematched Nathan Corbett in one of the most anticipated bouts in the history of Australian kickboxing. Their first fight was ended by doctor stoppage. McKinnon had been cut three times with Carnage’s golden elbows, although Steve had managed to score with a nasty cut of his own. The rematch ended in similar fashion to their first meeting. A third meeting is tantalizing, although Steve sees the likelihood as doubtful. If the opportunity did arise, Steve knows what he would do differently. Steve started training in Shotokan karate at a very early age. His father, a former Scottish paratrooper, had karate schools all over Scotland. When he emigrated with his sons Stuart and Steven, he opened a number of schools in Sydney. He was keen to bring his sons up with a solid grounding in martial arts. Steve, however, had other ideas. Kickboxing, as it turns out, would find its way to him. Steve has always trained with his brother Stuart, a successful partnership which has endured to this day. The boys also began training at the Bulldog Gym and met Nick Stone, who made a crucial contribution to their style. Steve made the shift from cruiserweight to heavyweight the best way possible: slowly. His recent overseas adventures with Glory have invigorated Steve as a fighter. Brother Stuart is on the cusp of turning forty and has a son of his own who is occasionally making his way in to the Bulldog Gym. Surely his brother’s growing family has made Steve begin to consider life after kickboxing? Other than that, Steve is in excellent form and with his renewed vigor for training, the best may well be yet to come. This entry was posted on April 18, 2014 at 6:53 am and is filed under Journalism, Kickboxing with tags Bulldog Gym, cruiserweight, David Radcliffe, Enfusion, Fillip Verlinden, Glory, Glory 9, heavyweight, K1, Kickboxing, Michael Dutt, Milan, Muay Thai, Nathan 'Carnage' Corbett, Nick Stone, Shotokan karate, Steve Jez, Steve McKinnon, Total Carnage II, Tyrone Spong, WKBF amateur title. You can follow any responses to this entry through the RSS 2.0 feed. You can leave a response, or trackback from your own site.